How Can Credit Unions Benefit from Managed Infrastructure? Credit unions and their IT staff can spend a frustrating amount of time managing their switches, routers, and firewalls. While it can be tedious and time-consuming, it’s perfectly doable in-house. So, what benefits can credit unions see from third-party-managed infrastructure? There are a few key benefits to managed infrastructure for credit unions. In this blog, we’ll briefly list a few of the major considerations. 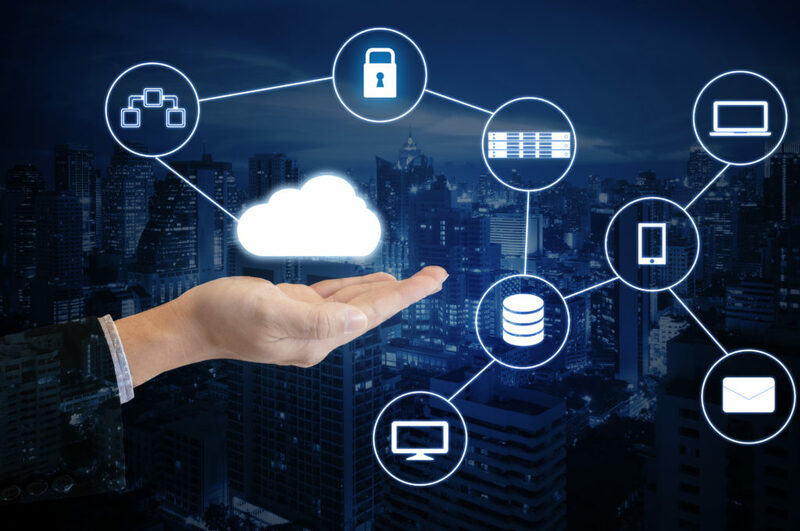 If those benefits sound substantial, then your credit union may want to consider moving to managed infrastructure for networking and telecommunications. And the cycle starts all over again. Plus, each time you purchase and deploy new networking equipment and devices, you have to integrate it with your existing infrastructure. The whole process can take countless hours of base-level IT maintenance work. While it’s easy work that any IT employee can handle, it’s also not high-level work. Managed infrastructure allows IT personnel to focus on higher-level tasks and initiatives. That’s all without worrying that things are going to come to a halt because of a bad router. Managing and maintaining infrastructure means keeping track of many small details. For smaller credit unions, the details pose no problem. For larger credit unions and credit unions who are focusing on growth or expansion, managed infrastructure is much more scalable. Managed infrastructure for credit unions removes these IT headaches. For credit unions with more than a handful of branches, the time lost from maintaining infrastructure adds up quickly. However, like we mentioned previously, it’s low-level maintenance work for the most part. Focusing on higher-priority tasks and initiatives contributes more to job satisfaction. All employees want to know that they bring something valuable to the plate. Managed infrastructure for credit unions gives IT personnel the opportunity to excel within the organization. Not only does that help with critical member-facing services—it also helps retain valuable IT staff by increasing their job satisfaction. Is Managed Infrastructure Right for My Credit Union? Many credit unions get by just fine managing their own infrastructure. However, for credit unions that are larger, focusing on member growth, or don’t have ample IT resources, managed infrastructure could be incredibly helpful. Follow the links below to learn more about credit union telecommunications support. Or, subscribe to our blog to receive updates about technology and the credit union industry.